They are strictly for reference and we do not endorse any of the sites or companies listed here. If you would like to have your health care related site listed, email us at resource@agecomfort.com at tell us why! Alzheimer Society of Ontario | Since 1983, the Alzheimer Society of Ontario has been dedicated to improving the quality of life for Ontarians living with Alzheimer’s disease and other dementias and advancing the search for the cause and cure. Alzheimer's Association | The Alzheimer’s Association is the world’s leading voluntary health organization in Alzheimer’s care, support and research. Alzheimer's Society of Canada | The Alzheimer Society of Canada is the leading not-for-profit health organization working nationwide to improve the quality of life for Canadians affected by Alzheimer’s disease and other dementias and advance the search for the cause and cure. In Case of Emergency e-fillable Sheet from Toronto EMS | This new e-fillable and downloadable sheet from Toronto EMS can help save lives. Always have it handy in case of emergency so a loved one or elder is not in danger when an accident happens. 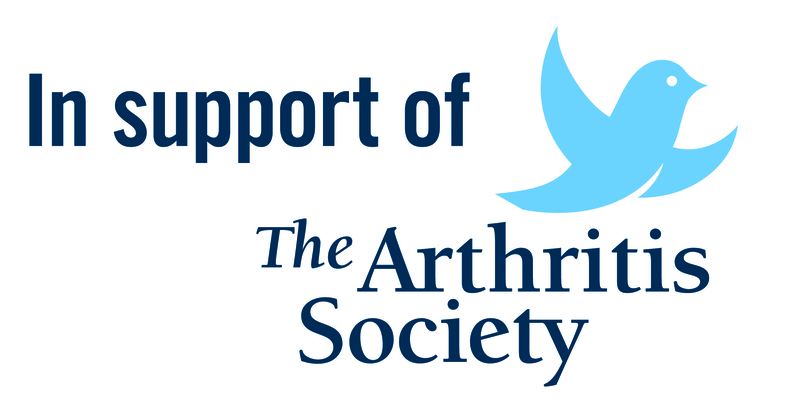 Arthritis Foundation of America | The Arthritis Foundation’s mission is to improve lives through leadership in the prevention, control and cure of arthritis and related diseases. Arthritis Research Foundation | The Arthritis Research Foundation is one of the four foundations at University Health Network (UHN) in Toronto, with offices at Toronto General Hospital. Canadian Arthritis Patient Alliance | Canadian Arthritis Patient Alliance (CAPA) is a grass-root, patient-driven, independent, national advocacy organization with members across Canada and supporters both Canadian and International. Inside RA – Education and Motivation for people with Rheumatoid Arthritis | insideRA is a national disease education program that offers Canadians with rheumatoid arthritis (RA) the opportunity to connect with the facts, the experts and other RA sufferers. The Canadian Arthritis Network | The Canadian Arthritis Network is a research network aimed to create, translate and transfer arthritis research to produce benefits to people with arthritis, their families and Canadian society. Advocacy Centre for the Elderly | The Advocacy Centre for the Elderly is a community based legal clinic for low income senior citizens. Canadian Pensioners Concerned | Canadian Pensioners Concerned founded in 1969 in Ontario, is a provincial and national membership-based, non-partisan, voluntary organization of mature Canadians committed to preserving and enhancing a human-centred vision of life. Canadian Snowbird Association | The CSA is Canada’s official association dedicated to defending and improving the rights and privileges of all Canadian travellers. CARP – A New Vision of Aging for Canada | CARP is a national, non-partisan, non-profit organization committed to a ‘New Vision of Aging for Canada’ promoting social change that will bring financial security, equitable access to health care and freedom from discrimination. Concerned Friends of Ontario Citizens in Care Facilities | Founded in 1980, Concerned Friends of Ontario Citizens in Care Facilities is a non-profit corporation and registered charity dedicated to reform of the long-term care system and improvement of quality of life for residents. Older Women's Network | A Voice for Mid-Life and Older Women Learning and Working Together – The Older Women’s Network is a non-profit, non-governmental voluntary organization started by a group of women in 1986. Ontario Community Support Association | The Ontario Community Support Association represents the Home and Community Support sector in Ontario. OCSA Members are community-based, not-for-profit organizations that provide a wide variety of services to help people live at home. Ontario Gerontology Association | The OGA is committed to working with all stakeholders to improve the quality of life for older adults by advancing the teaching, learning and practice of gerontology in the province. Canadian Cancer Society | The Canadian Cancer Society is a national community-based organization of volunteers whose mission is the eradication of cancer and the enhancement of the quality of life of people living with cancer. Canadian Skin Cancer Foundation | The Canadian Skin Cancer Foundation is dedicated to the elimination of skin cancers through education, awareness, advocacy and research. Colon Cancer Canada | Colon Cancer Canada is a national organization dedicated to saving lives through increasing public awareness of colorectal cancer and access to screening, funding research initiatives, and providing colorectal cancer patient support. Kidney Cancer Canada | Kidney Cancer Canada was founded by patients… for patients, and we are the first and only Canadian charitable, patient-led, support and advocacy organization for kidney cancer. Mesothelioma Life Expectancy Guide | Mesothelioma Guide was founded with over a decade of experience serving the mesothelioma community and a commitment to creating a better environment for patients and family members. Pancreatic Cancer Canada | Pancreatic Cancer Canada is committed to improving pancreatic cancer survival and creating hope through awareness, education, patient support and research. Pleural Mesothelioma Center | Pleural mesothelioma is the most common of four types of malignant mesothelioma accounting for about 75 percent of all cases of the disease. All four types share one similar trait: they are rare and aggressive forms of cancer. Prostate Cancer Canada | Prostate Cancer Canada is the only national foundation dedicated to the elimination of the disease through research, education, and support. Young Adult Cancer Canada | To build a community of young adults diagnosed with cancer that provides information, support, skills and opportunity. Canadian Cardiovascular Society | The CCS is the national voice for cardiovascular physicians and scientists. Canadian Caregivers | Canadian Caregivers is a full-service family placement agency for domestic and foreign nannies and caregivers. Caregiving Matters | Education and support for family caregivers dealing with the poor health and / or death of a parent or family member. GL Care | At GL homecare we specialize in elderly care. We provide premier senior care to Zoomers and Baby Boomers that choose to stay at home instead of moving. Goverment Assistance for Caregivers | As a caregiver, you may be eligible for various forms of assistance from the Government of Canada. Service Canada offers the following information to help you prepare for this role. The Care Guide | The Care Guide is a print magazine and an on-line site that helps caregivers stay connected through useful resources. Banting and Best Disease Centre | As Canada’s leading centre of excellence for innovation in diabetes research, education, and clinical care, we will tangibly impact diabetes prevention and outcomes in Canada and globally. Diabetes and Kidney Disease | The Kidney Foundation of Canada is people working together for a common cause. We are volunteers, individuals living with kidney disease, donors, and staff members — from all walks of life, all across Canada. JDFR – Curing Type 1 Diabetes | For over 40 years, JDRF has been a global leader in the search for an end to type 1 diabetes (T1D), through both research funding and advocacy. During that time, we have always talked about a cure as a singular destination: a return to normal physiology. National Aboriginals Association of Diabetes | NADA is a not-for-profit members-led organization established in 1995 as a result of the rising rates of diabetes in Aboriginal communities. Canadian Red Cross | The Canadian Red Cross mission is to improve the lives of vulnerable people by mobilizing the power of humanity in Canada and around the world. Manitoba Fall Prevention Information | Falls are the leading cause of unintentional injury hospitalization for all Canadians and the leading cause of injury hospitalization for Manitobans (including intentional injuries). Ontario Injury Prevention Resource Centre | The Ontario Injury Prevention Resource Centre (OIPRC), operated by Parachute, is a resource centre of Public Health Ontario in the Health Promotion, Chronic Disease and Injury Prevention Department. Canada Revenue Agency (CRA) | Provides information for Canadian Seniors on income programs, income tax and financial credits. Public Health Agency of Canada: Aging & Seniors | Provides information on issues related to seniors and aging in Canada. Canada Pension Plan Retirement Pension | The Canada Pension Plan (CPP) Retirement Pension provides a monthly taxable benefit to retired contributors. Canadian Government Annuities | The Canadian Government Annuities Branch administers contracts on behalf of individuals who have contributed towards the purchase of an annuity either on their own or through their employers as part of a pension plan. Funding: New Horizons for Seniors | Organizations that want to help seniors make a difference in the lives of others, and in their communities, are eligible to receive federal grants and contributions funding. Guaranteed Income Supplement | The Guaranteed Income Supplement (GIS) provides a monthly non-taxable benefit to low-income Old Age Security (OAS) recipients living in Canada. Old Age Security Pension | The Old Age Security (OAS) Pension is a monthly benefit available to most Canadians 65 years of age who meet the Canadian legal status and residence requirements. You must apply to receive benefits. Senior Housing and Support – British Columbia | Launched in 2004, the Seniors’ Housing and Support Initiative (SHSI) was created through a one-time $2 million grant from the (now) Ministry of Community, Sport & Cultural Development to assist local governments to prepare for an aging population. Hearing Loss & Seniors – Why it excelerates | From John Hopkins Medicine – Why the rapid inrease in Seniors? Centre for Stroke Recovery Canada | The CSR is a unique, multi-site research institute dedicated solely to innovative research into ways to promote faster, more complete stroke recovery. The Heart Truth | Foundation focused on providing help and information primarlity to Women in the area of heart and store. Age Related Macular Degeneration | AMD Alliance International strives to bring knowledge, help and hope to individuals and families around the world affected by AMD. Seniors and Aging from Government Canada | As people get older, it is normal for their vision to change. However, there are steps you can take to preserve your eyesight and improve your vision – an important part of staying safe and independent. The Canadian Council for the Blind | The Canadian Council of the Blind (CCB) was founded in 1944 by blind war veterans and schools of the blind. All officers and directors are blind or visually impaired which gives a unique sensitivity to the needs of the blind community. The Foundation for Fighting Blindness | The Foundation Fighting Blindness is a Canadian health charity dedicated to finding the causes, treatments and ultimately the cures for retinitis pigmentosa, macular degeneration and related retinal diseases by supporting research and public awareness. The National Coalition for Vision Health | NCVH is an organization of associations that share a common interest in eye care and vision research. The Coalition provides national leadership on Canada’s vision health issues and in the development of related public policy.